Magnetic materials attract substances made from iron, and they also also attract other magnets. 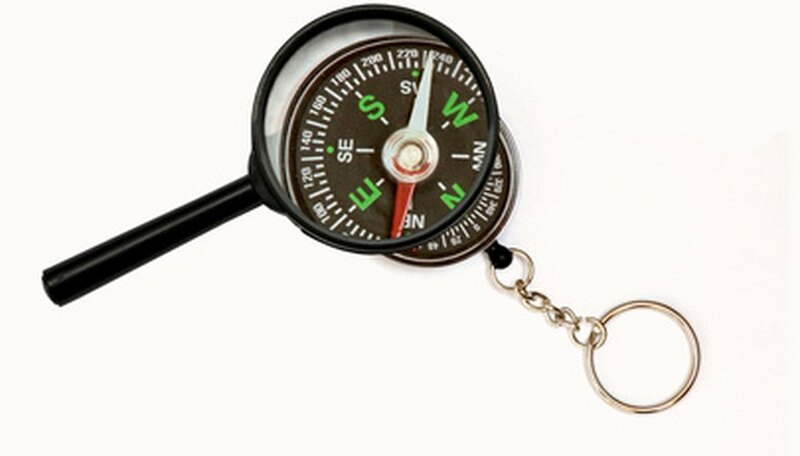 Places on the magnet that produce magnetic forces are called poles, and they are either north or south. Round magnets and bar magnets, two common types, differ not only because of their shape, but also because of the location of these poles. Bar magnets are rectangular in shape, but any magnet that is circular is called round. These include disks, rings and spheres. Ordinary bar magnets have the north pole on one end, and the south on the other. Large ones may have the poles on each width and not the ends. Round magnets have the north pole on one side, and they have the south on the other. Thick disks may have one north and south pole per side. 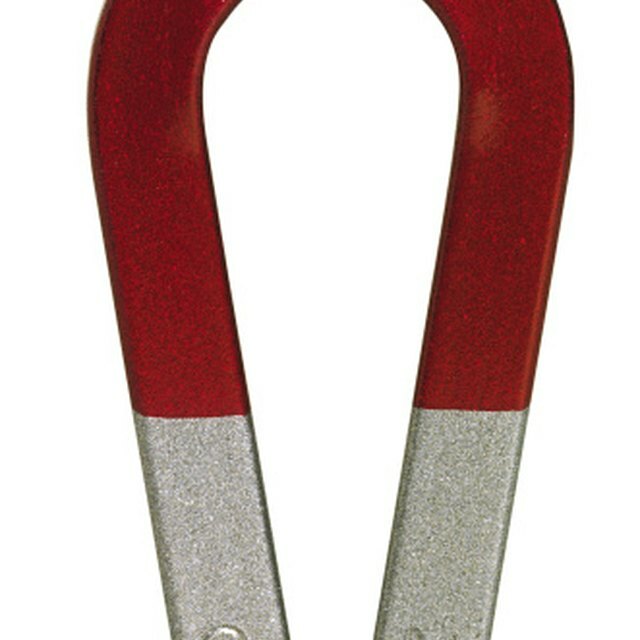 Magnets may be temporary, permanent or electromagnetic. Electromagnets are formed from wires that carry moving charges or currents. Round or bar magnets may belong to any of these categories, but they're widely used as permanent magnets. The magnetic field of a magnet, which exerts the forces of attraction or repulsion on certain materials, may be visualized. This may be done by placing a sheet of paper on top of the magnet, and then by sprinkling iron fillings onto the paper. The fillings will align themselves along the field. For a bar magnet, the fillings will form around it, but will clump most strongly around the north and south poles. For round magnets, the fillings will form semi-circles on the paper. Round magnets are used to create speakers, ear phones and motors; they're also used to lift heavy objects, such as cars. Bar magnets are used for latching, holding and automation; they're most often used to demonstrate magnetic fields. Lewis, Kim. "Round Magnet Vs. Bar Magnet." Sciencing, https://sciencing.com/round-magnet-vs-bar-magnet-6195883.html. 24 April 2017.